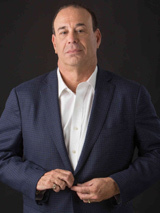 Taffer is The Wall Street Journal Best-Selling author of Raise the Bar: An Action Based Method For Maximum Customer Reactions, his book which distills the secrets to running a successful enterprise with Reaction Management, a strategy and philosophy Taffer developed and uses in his business and on Bar Rescue. It works whether you’re running a storefront operation or a web-based company, whether you’re manufacturing widgets or providing a service. Taffer’s overarching philosophy is this: All business is about creating the right reactions in your customers. Even better: You can control those reactions to a very large degree. Raise the Bar is the definitive manual on transforming a company with actionable, proven strategies for immediate impact. Born in New York, Taffer’s entrepreneurial spirit started at a young age. When he was 12 he started his first business while at summer camp, employing 8 campers for basic services that he provided to counselors for whatever tasks they needed done. When it was time for Taffer to attend college, he decided on majoring in political science and got a bartending job on the side. It was then that he realized that making people smile for a living was what he wanted to do. His first management job was at the late Doug Weston’s legendary West Hollywood bar and music venue the Troubadour, where he learned a life-changing lesson: Even a famous, jam-packed bar can be losing money. He then went on to manage the iconic Barney’s Beanery in West Hollywood before he started consulting and then owned his first bar by 1989. At one point Taffer owned 17 different establishments at the same time. Prior to joining the Neighborhood Marketing Group, Taffer served as president of Innovative Hospitality Concepts, Inc. – a world renowned, award winning creator and operator of innovative restaurant and nightclub concepts. A member of many boards, Taffer serves on Nightclub & Bar Magazine, Tradeshow and Convention’s board, Restaurant Marketing Magazine and is a past member of NFL Enterprises’ board of directors. In January of 2010, Taffer was appointed by Questex Media Group LLC the president of its Nightclub & Bar Media Group, which includes the Nightclub & Bar Convention and Trade Show, Nightclub & Bar magazine and related digital media products. He is a founding member of the Nightclub & Bar Advisory Board, and has been intimately involved with the Nightclub & Bar Convention and Trade Show and Nightclub & Bar magazine since its inception, and has been integral to its growth through the years. Taffer’s position with Questex is designed to further the synergies and natural connections between the Nightclub & Bar Convention and Trade Show and Nightclub & Bar Magazine. Taffer served as chairman of Taffer Dynamics where he acts as a consultant and development adviser to the restaurants, nightclubs and hotels around the world. His clients read as the who’s who of the hospitality industry. As a highly sought after keynote speaker, Taffer taps into his vast experience that spans the entire spectrum of the food and beverage, hotel and hospitality arenas. He delivers expertise in the creation, development and management of casual restaurants, entertainment venues, nightclubs, bars, stadium/arena food service, resort facilities, and large theme restaurants. When Taffer isn’t busy in front of the camera or in the boardroom he can be found traveling the country with his wife Nicole Taffer in their customer built tour bus. If there's anyone who can prevent a bar or restaurant from going belly-up, it's Jon Taffer. Widely considered the greatest authority in the food and beverage, hotel, and hospitality industries, he runs the biggest trade show in the business and has turned around nearly 1,000 bars and at least that many restaurants. As host and executive producer of Spike TV's Bar Rescue, a documentary-style series, Taffer gives struggling bars one last chance to succeed with a mixture of business acumen and tough love. Now he’s offering his no-nonsense strategy for eliciting just the right emotional reactions in customers to everyone.